Awareness has continued to skyrocket with energy efficiency. The generic onlooker may not fully comprehend the value and amount you will be saving in energy. However, once the numbers are calculated and shown, there is no denying the benefit saving energy provides, whether in a home or business. There are countless ways to incorporate energy efficiency, though there may be one that far exceeds the rest, and it will probably surprise you. Have you considered tinting your windows lately? And no, we’re not talking about your car. 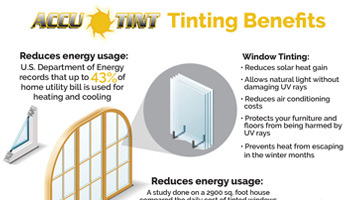 Studies are showing that adding a tint to your home or business is providing a large amount of savings, as well as other benefits. 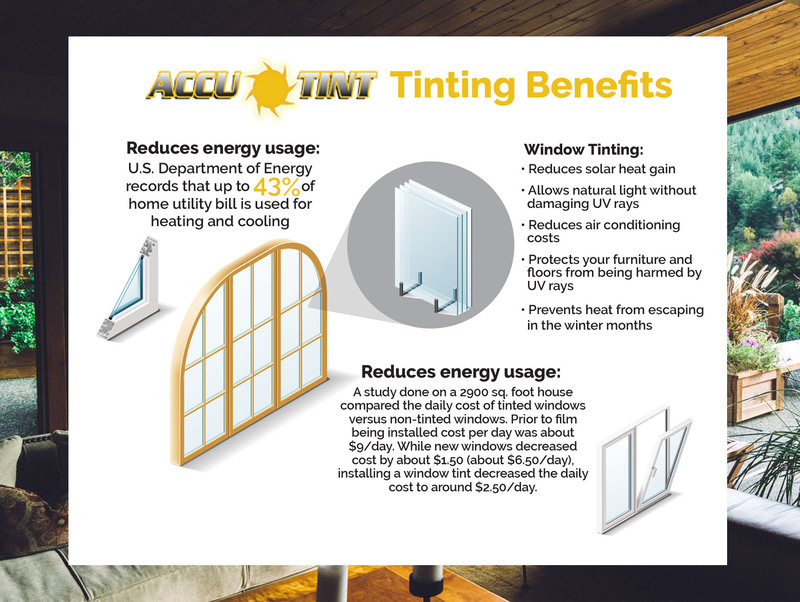 Here are a few more supporting factors on how tinting your windows is a cost effective way to reduce your energy consumption. It’s easy to say something will save you money, but it’s a whole other thing when you have the numbers in front of you. In places like Nashville, dealing with the heat and sun is a very tangible struggle in the summer months. It can be easy to look into a window replacement to improve energy efficiency before considering a window tint, though if you’re watching your pocket book you may want to reconsider. Generally speaking, estimates for tinting your windows can cost anywhere from $4-$6 per foot, whereas replacing windows in their entirety can cost $40-$55 per foot. Additionally your return on investment is substantially more accommodating with tinting than a full replacement. Tint installation will pay for itself in about two to five years, whereas replacements often take around a decade to pay for. Particularly if your home is a bit older, you will often find the windows are not as reliable for remaining sealed. While new windows may be in your near future, we recommend starting with a more cost effective route that will in turn save you the most money on both sides. You can even choose how dark you prefer the tint to be. Regardless of your choice, you will reduce UV ray exposure to your home up to 99%. This in turn will save any of your furniture, leather or cloth, from fading faster, as well as keeping your floor from uneven sun exposure. Choosing to replace windows won’t have this same effect, and will cost you much more money up front, as discussed above. If energy efficiency is the name of the game, nothing makes more sense than tinting your windows. Moreover, you won’t ever have to worry about your tint bubbling or peeling. Accutint only uses premier film, ensuring the best quality for your windows. And we don’t stop there! Adding tint to your business is another cost-effective and energy efficient approach you won’t regret. Call us today to learn more about our tinting services, or click here to contact us.